The Partnership for Health and Accountability (PHA) presented three of its prestigious 2019 Quality and Patient Safety Awards to Emory University Hospital Midtown. The first project, titled, “CLABSI Reduction in the Neonatal Intensive Care Unit,” reduced the incidence of central line-associated bloodstream infections (CLABSI) among neonatal patients and won second place in the Josh Nahum Award for Infection Prevention and Control category. The second project, titled, “Daily ‘C’s,’ Prevent the CLABSI,” helped prevent CLABSI among high-risk adult patients at the hospital and won third place in the Hospitals with Greater Than 300 Beds category. The Daily “C’s” involve the use of Chlorhexidine Gluconate (CHG) Bath Cloths for daily Cleaning to prevent CLABSI. 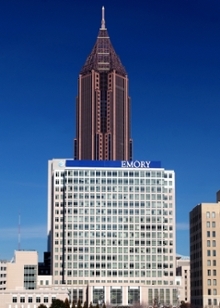 Emory was also presented with a Circle of Excellence Award, an honor given to hospitals and health systems that have demonstrated a sustained commitment to quality and patient safety as evidenced by not only winning a patient safety award in 2018, but by earning three or more PHA Patient Safety Awards within the previous five years. The Partnership for Health and Accountability, an affiliate of the Georgia Hospital Association, was established in January 2000 to improve patient care and patient safety in hospitals and other health care facilities and create healthy communities.